JUNEAU — The Alaska House moved Monday to boost residents' Permanent Fund dividends to about $2,700 this year, in a vote that split the ruling majority coalition and threatened to derail the chamber's efforts to pass the state's annual operating budget. The 21-19 vote underscored the deep divisions that still remain between lawmakers over the role of the $64 billion Permanent Fund — the source of the dividend payments — in fixing Alaska's $2.3 billion deficit. That's even as the Legislature's annual session enters what's supposed to be its final stretch: Monday was Day 70, and a 2006 citizens initiative limited the length of the session to 90 days. Critics of the dividend vote said the Permanent Fund is needed to help pay for government programs and that it's not fiscally responsible to spend more of its earnings on PFDs. Monday's proposal would spend an extra $900 million in Permanent Fund earnings on dividends, even though House leaders had already proposed to withdraw what they described as the maximum sustainable amount from the fund this year. Supporters of the increased payments said their constituents shouldn't have to accept smaller dividends unless the state also asks for sacrifices from wealthy Alaskans and oil companies — or unless the size of Alaska's already-diminished government is further reduced. After the vote, there was little clarity at the Capitol about whether the $2,700 number would stick. That figure is part of the House's annual state operating budget proposal. And that measure remained in limbo Monday after a week of debate, as leaders of the largely-Democratic majority coalition tried to assemble the 21 votes needed to send it to the Senate. "There will have to be reasonable concessions made to get a budget passed," said Anchorage Republican Rep. Chuck Kopp. "And we're not there yet." Even if the House's final budget includes the full dividend amount, the proposal would still have to have to be approved by the largely-Republican Senate majority, whose leaders prefer smaller payments. Gov. Bill Walker also could reduce dividends with his veto pen, like he did two years ago. "I probably wouldn't go out and buy a new snowmachine yet," quipped Anchorage Democratic Sen. Bill Wielechowski. The new proposal from the House would restore dividends to the amount they'd be if calculated with the legal formula that lawmakers relied on to set dividends for decades. Walker discarded that formula — which is linked to the fund's investment earnings — in 2016, saying the state couldn't afford to pay the full amount amid its deficit. Most lawmakers acknowledge that the fund's earnings should be used to fix most of that deficit — a step that would likely force smaller dividend payments. But Senate and House members — and majority and minority members in each chamber — have sharply diverging ideas about which other steps should be taken at the same time. And that split was at the heart of the House's debate Monday over the $2,700 payments. Members of the Republican minority prefer deeper cuts to government programs before they'll accept reduced dividends for their constituents — even though such cuts have been rejected by the majority. And majority members object to dividend cuts because they affect each Alaskan equally, regardless of their economic status — meaning that they hurt low-income recipients, proportionally, more than high-income ones. They argue that dividend reductions would be more fair if balanced by higher taxes on oil companies, or by a new tax on income that would take a larger share from wealthy Alaskans. But those ideas face stiff opposition in the Senate. The two House caucuses are further divided by how firmly their members hold those views. Monday's vote suggested that about half of each group's members are willing to set aside their conditions and accept a state budget with smaller dividends, while half are not. Eleven of the minority's 18 Republican members voted to boost dividends to $2,700 from the level previously proposed by the House, or about $1,250: David Eastman, Colleen Sullivan-Leonard and Cathy Tilton of Wasilla, DeLena Johnson of Palmer, Charisse Millett of Anchorage, Mark Neuman of Big Lake, George Rauscher of Sutton, Lora Reinbold and Dan Saddler of Eagle River, Dave Talerico of Healy and Tammie Wilson of North Pole. The seven minority Republicans who voted no were Chris Birch, Jennifer Johnston, Chuck Kopp and Lance Pruitt of Anchorage, Mike Chenault of Nikiski, Gary Knopp of Kenai and Steve Thompson of Fairbanks. Ten of the majority's 22 members, meanwhile, voted to pay the larger dividends: Bryce Edgmon, D-Dillingham; Neal Foster, D-Nome; Scott Kawasaki, D-Fairbanks; Gabrielle LeDoux, R-Anchorage; John Lincoln, D-Kotzebue; Justin Parish, D-Juneau; Ivy Spohnholz, D-Anchorage; Geran Tarr, D-Anchorage; Chris Tuck, D-Anchorage; and Tiffany Zulkosky, D-Bethel. The 12 majority members voting no were Matt Claman, D-Anchorage; Harriet Drummond; D-Anchorage; Les Gara, D-Anchorage; Jason Grenn, I-Anchorage; David Guttenberg, D-Fairbanks; Andy Josephson, D-Anchorage; Sam Kito III, D-Juneau; Jonathan Kreiss-Tomkins, D-Sitka; Dan Ortiz, I-Ketchikan; Paul Seaton, R-Homer; Louise Stutes, R-Kodiak; and Adam Wool, D-Fairbanks. Edgmon, the House speaker, said in an interview late Monday that it will take more work before his chamber is ready to send its annual state spending plan to the Senate — even after a full week of debate. 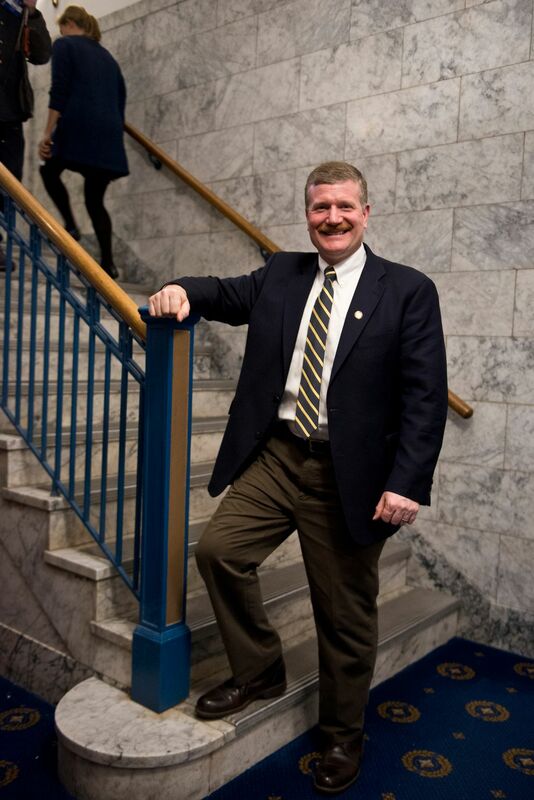 Kopp, the Anchorage Republican, said that changes could be made to the budget to recruit the necessary 21 votes either from within the majority, or even from the minority. — having to step back and figure out what it takes to get the support necessary to pass the operating budget," said Edgmon, who added that he'd met with Anchorage Republican Rep. Charisse Millett, the minority leader. The debate over dividends pits future generations' interest in a robust Permanent Fund against Alaskans who want larger payments now. "The public pressure has been enormous," said Wielechowski, the Anchorage Democratic senator. Supporters of Monday's budget amendment to boost PFDs pointed to research that shows the checks lift as many as 25,000 Alaskans out of poverty each year. Critics in both the House and Senate argued that the state can't sustain large dividends while also using the fund's earnings to balance Alaska's budget. Walker's office distributed a document to lawmakers that said paying the full $2,700 amount would reduce the fund's real value by 14 percent over the next decade — if the House also uses Permanent Fund earnings to fill the deficit in the way it's proposing. "What you spend now is not available for future generations," said Anchorage Republican Sen. Natasha von Imhof. "It's the job of the Legislature to balance all viewpoints and not one special sector." Other Senate majority members suggested that they were getting impatient with the House's inability to pass its budget proposal, given that the chamber's floor debate on the measure is now extending into its second week. 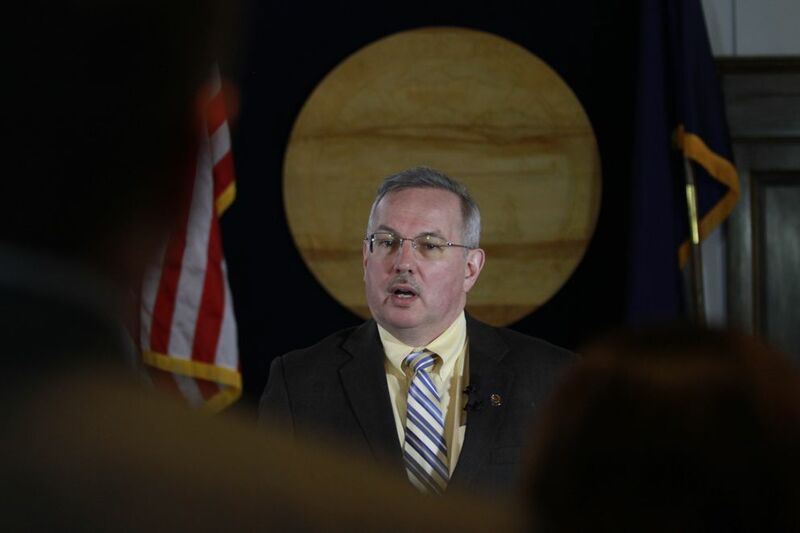 Senate Majority Leader Peter Micciche, R-Soldotna, told reporters at a news conference Monday that the delay was threatening the Legislature's ability to finish its work in 90 days. "That's going to be very difficult at this point," he said. "We need something to act on. And we need it now, as soon as possible." Correction: This story previously mischaracterized a meeting referenced by the Alaska House Speaker, Bryce Edgmon. Edgmon said he met with Anchorage Republican Rep. Charisse Millett, the minority leader – not multiple minority members, as the story said. Nathaniel Herz is a former reporter for the Anchorage Daily News. The al-Qaeda suspect was stripped naked and shot. His Army murderer is seeking a pardon.